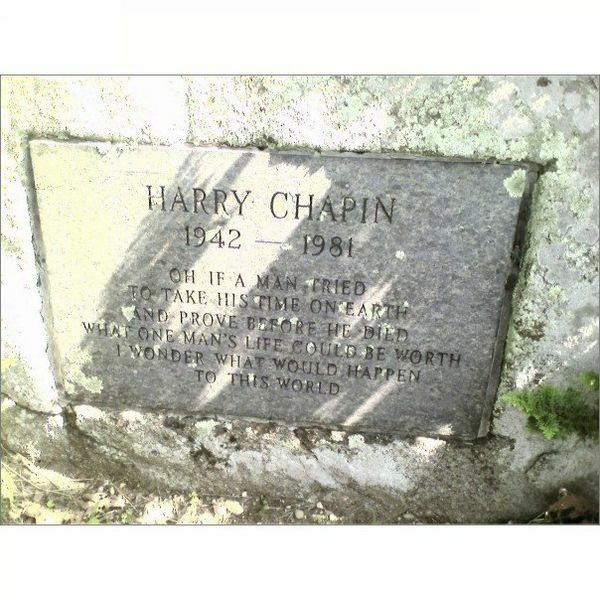 Harry Chapin was a friend of mine. That’s not a unique fact. Harry was friends with everyone he ever met and multitudes he didn’t. That was just Harry. Never too busy to stop what he was doing to do for another. Never too self-absorbed to fail to listen with keen intensity to anyone with a story to tell, a question to ask, or even the most insignificant of comments. He was probably the closest thing to a true storyteller we’ve ever had in the music business, and certainly the best writer, purveyor, and singer of song all rolled into one from the era when he performed. With iconic songs known to the masses, such as “W.O.L.D,” “Cat’s in the Cradle,” and “Taxi,” he left a legacy that few others can equal for the relatively short time that he lived. “Cat’s in the Cradle” is his only number one record, though he saw ten songs make the single charts. Harry’s secret was that he told you the truth. He wrote about what he knew, and what he lived. Most of his songs were autobiographical to some extent, or at least very close to the core of his being. He was intense but casual at the same. A strength that enveloped those with whom he came in contact, but not to hinder or threaten, but to encompass all he could. Harry tended to make those around him into better people, while making himself a better person by their friendship. He was also a dedicated humanitarian who fought to end world hunger, and was a key player in the creation of the Presidential Commission on World Hunger in 1977. Harry, throughout his career, saw to it the procedes from every other concert went in its entirety to his hunger foundation. Also all tee shirts and other articles sold at his concerts were sold for the cause of hunger. He waved off praise for this by saying that if he were truly doing something spectacular, he’d give it all to the cause. In actuality he did give more than half, never hestitating to donate more money from his own pocket. In 1987, Chapin was posthumously awarded the Congressional Gold Medal for his humanitarian work. One report quotes his widow saying soon after his death that “Harry was supporting 17 relatives, 14 associations, seven foundations and 82 charities. Harry wasn’t interested in saving money. He always said, ‘Money is for people,’ so he gave it away.” Despite his success as a musician, he left little money and it was difficult to maintain the causes to which he denoted more than $3 million. The Harry Chapin Foundation was the result. Harry died in a car crash in 1981, short of his 39th birthday. Even in a life so short, he made a difference to the world in which he lived. And he made a difference to millions of us who were friends of Harry.